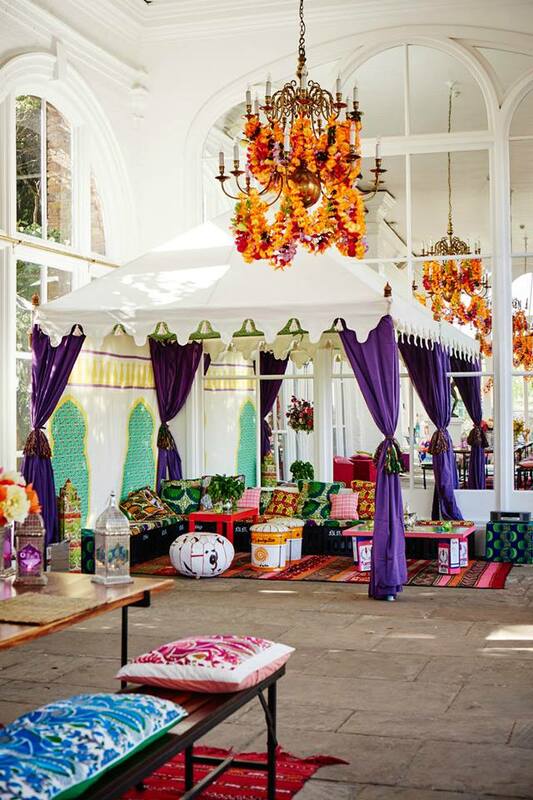 Indian Wedding tents are exoticism and romance wrapped up under one very stylish canvas. I love using them for client weddings, nothing else has quite the same impact or guaranteed wow factor. 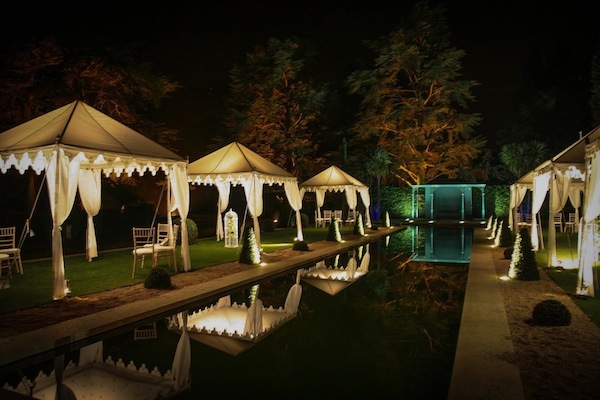 Providing chic traditional Indian tents for weddings and events, RAJ Tent Club have resurrected a lost industry in India and I wanted to find out why. Tents have long had a place in history from nomadic home life to war travel. A nomadic tent culture existed in India especially Rajasthan where Kings and Sultans all have a rich history of using luxury tents for their expeditions and camping. During the era of the Mughal Emperors they built courts of thousands of tents, called ‘Tent Cities’ which contained a “Tented Palace’ within. During this era it was important to decorate tent walls with lavish Persian and Indian hand-painted motifs. In 1903, Lord Cuzon set up a tent city in Delhi for the Coronation Durbar of King Edward V11. The display of tents accommodated an astonishing twelve thousand, nine hundred and eighty-three people! By the mid 20th Century, the tradition of magnificent tent camps died out. And sadly the valuable skills required to create the tents dissolving into a distant memory. However in the mid 1990’s, RAJ Tent Club designer Clarissa Mitchell was living in Jodhpur working on a project for the Maharajah. Inspired by historical photos of Rajasthani tents exhibited at the museum in Mehrangarh Fort. Clarissa persuaded the Maharaja of Jodhpur to resurrect the lost art of tent making and manufacture eighty Shikar tents for a camel fair at Pushkar. In 1996, Clarissa joined forces with Nicola Marks, and together they launched RAJ Tent Club in London. 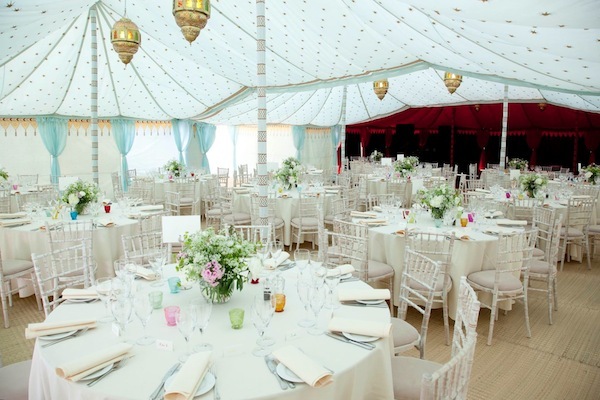 Since then the company have been inspiring the World with unique exotic tents for Weddings and events, collecting a myriad of accolades. 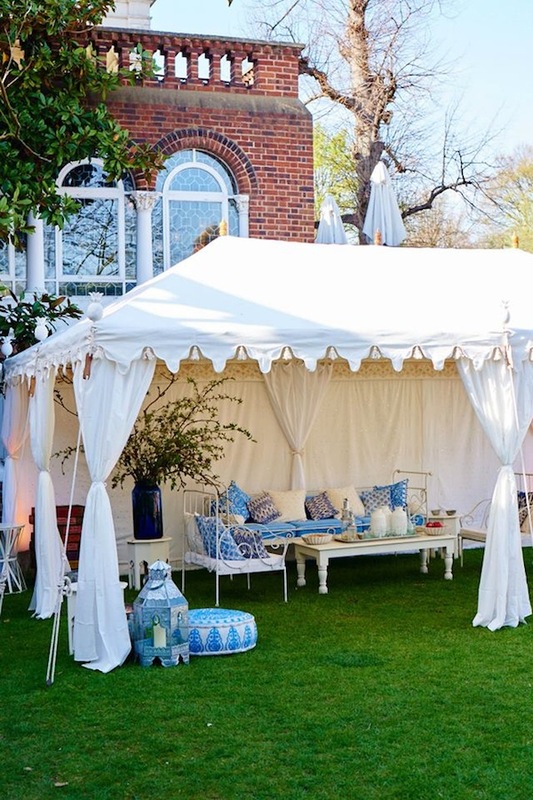 Kensington Palace and Historic Royal Palaces have RAJ Tent Club as a preferred supplier. Vanity Fair Magazine charges RAJ Tent Club to craft enchanted settings during Cannes Film Festival. 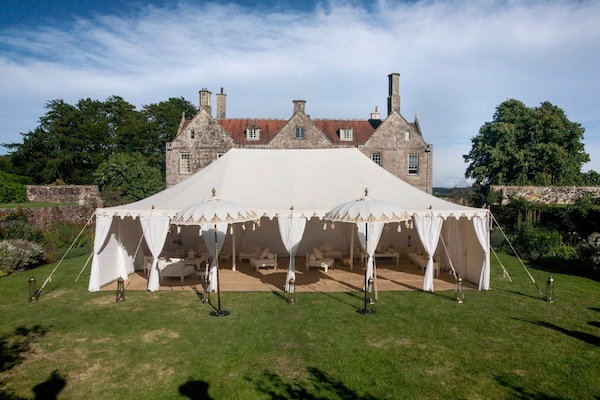 RAJ’s magical tents have even starred in films such as Nanny McPhee and The Duchess. 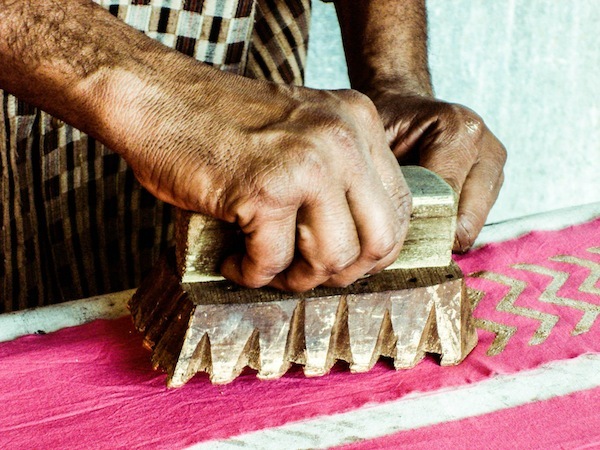 Indian craftsmen create the tents using traditional skills of block printing, dyeing, tassel, embroidery; mirror work and weaving. It is important to the RAJ Tent Club team to continue to preserve this lost industry in India and maintain skills that were in danger of being permanently forgotten. Here artisans in India use traditional techniques of wooden pattern blocking to create one of the beautiful motifs inside a RAJ tent. Such beautiful designs and a wonderful history.